As we count down to Christmas here in Sheffield city centre, we’re eager to get you out and making the very most that the city can offer this festive season. Whether getting the all-important shopping sorted, or celebrating another year with friends, Sheffield after 5pm really is bursting with activity. As a city, Sheffield is spoilt for choice when it comes to both shopping local and buying at some of the nation’s big brands. That’s exactly where the Sheffield Gift Card comes in. Eliminate all that shopping stress – cut out having to traipse around the city scouring for a half-decent gift – the Sheffield Gift Card is your saviour this Christmas. Sort your Secret Santa stress in a matter of minutes when you order your gift card online, which can be spent at the likes of Lush, Bird’s Yard, Topshop/Topman or even for a quick coffee and cake at 200 Degrees. Simply load up the card with as little as £5 (or as much as £200). With more than 80 (yes, eighty) city centre stores, bars and restaurants, give your lucky Secret Santa recipient the gift of choice this Christmas (it’ll be 1000x better than any bottle of bubble bath or naff pair of jokey cufflinks) - plus you're not lumbered with having to choose where to shop! What's more, if you order it online, it’ll be sent via Next Day delivery – so don’t panic about getting it sorted in time. 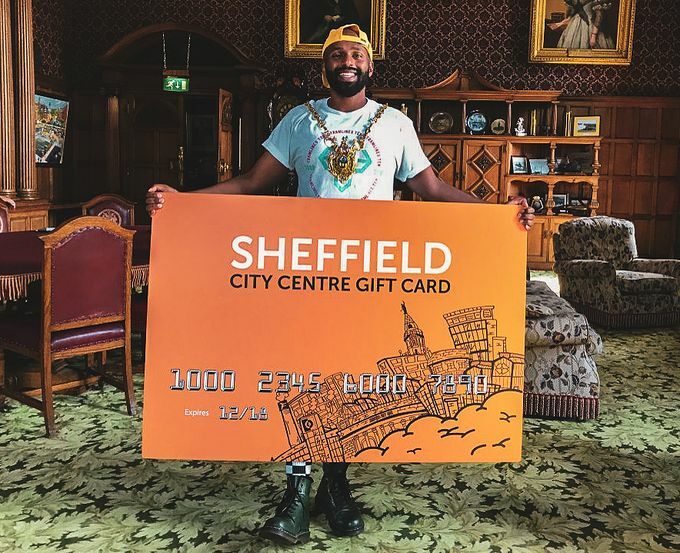 Find out where you can spend the gift card, which supports the local community by making sure we spend locally, at www.sheffieldgiftcard.co.uk, or ask about it at Unit 1 on Surrey Street, where you can also purchase cards instore.